Plaid Stripe Tunic Just $17.99! Down From $50! Shipped! 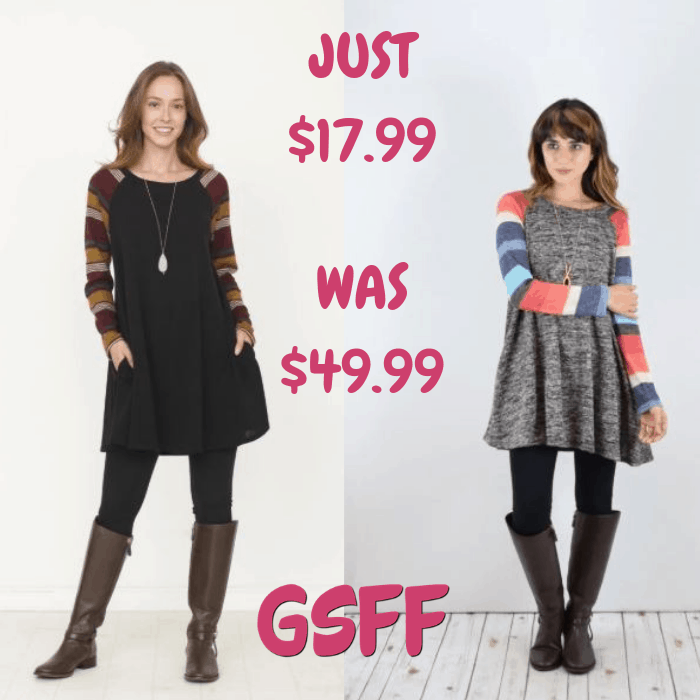 You are here: Home / Great Deals / Plaid Stripe Tunic Just $17.99! Down From $50! Shipped! Until January 11 only! Hurry over to Jane where you can score this Plaid Stripe Tunic for just $17.99 down from $49.99 PLUS FREE shipping! This luxurious tunic is a comfortable classic and can be paired with your favorite jeans with boots! Available in different colors which we know you’ll love!